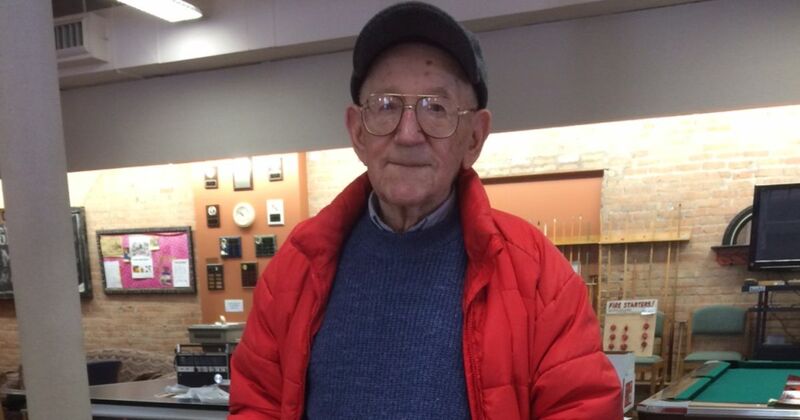 Clarence “Inky” Jungwirth died January 21, 2018. After digesting that news, I thought about how much I enjoyed the time I spent talking with him. I wish there had been more. I first met Inky in 2010. It was shortly after I started this blog. I contacted him to tell him how much I liked his books. I told him what I was doing. I said if he ever felt like writing anything about beer, I’d be happy to post it here. He invited me to his home. My wife and I went to see him on a warm Saturday at the start of summer. The first thing I asked was how he got his nickname. I worked in printing. I thought with a nickname like Inky maybe he had too. “No,” he said laughing. “I was so small as a kid they called me incubator baby. They shortened it to Inky.” After that, practically all we ever talked about was beer. Inky, on the left, having a beer at Steckbauer's. Mid-1950s. By the time I met him, Inky wasn't drinking beer anymore. He was 90 then. At that point, he hadn't had a beer in 20 years. But he still seemed to relish his memories of it. "My uncles got me drunk for the first time when I was 12," he said shaking his head and laughing. He talked about his grandpa and uncles. How they made beer in their basements during Prohibition. He said their homebrew was his first taste of beer. I asked him if it would be okay to record him talking about this stuff. He was for it. He told all kinds of stories. I liked the ones that were slightly crude. One of those was about his uncles delivering beer in growlers to Oshkosh factory workers in the 1920s. I put the audio of Inky telling that story into a video. After our first conversation at his home, Inky and I talked on the phone from time to time. He'd call from his office at Oshkosh Truck. He said he was thinking about writing a short history of beer. I said if he'd write it I'd post it on the blog. 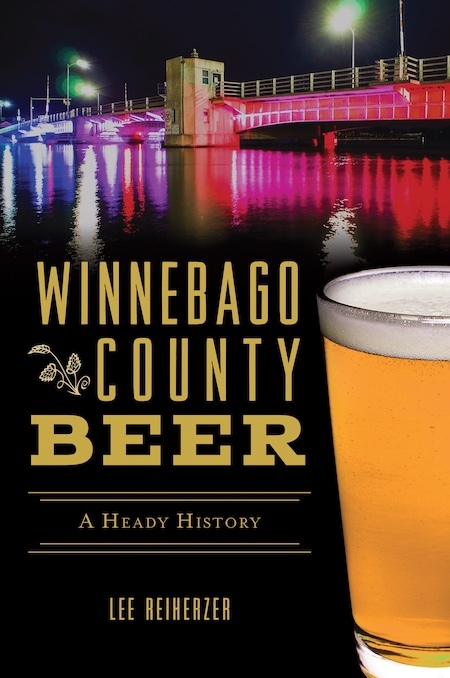 In June 2010, he sent me A Brief History of Beer by Clarence “Inky” Jungwirth. Inky had an idea for another blog post. 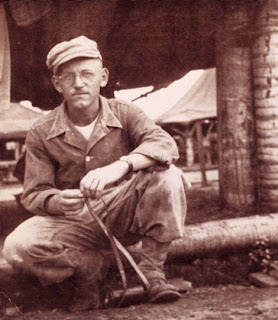 It was about when he was in the army in 1944 and got beer for Christmas. He titled that one Beer for Christmas By Clarence "Inky" Jungwirth. Last January I finally got around to putting together another short video with narration by Inky. 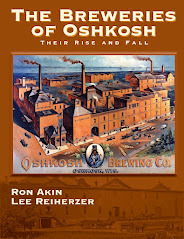 This one was about beer and homebrewing in Oshkosh during Prohibition. A couple years ago, I met up with Inky at an event for the Winnebago County Historical Society. I mentioned that there was a new brewery trying to get started on the south side. That it was going to be named HighHolder Brewing. "Good, Good!" he said. He like that reference to the Highholders. 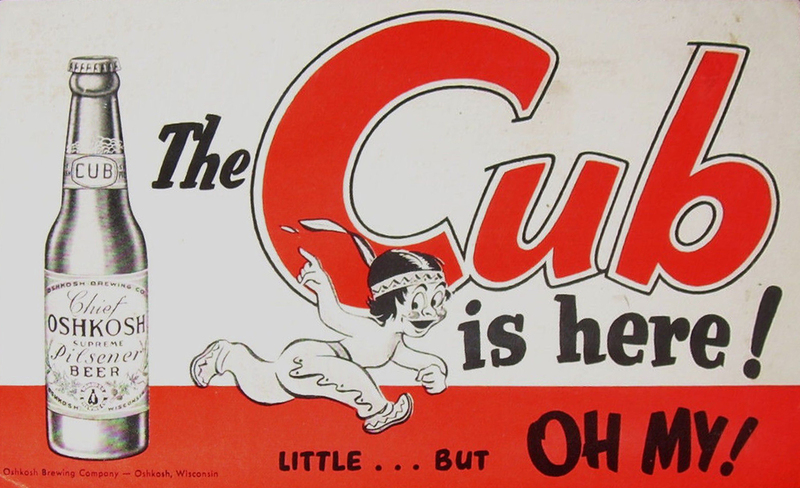 They were beer-loving immigrants who lived in the old “Bloody 6th Ward” where Inky grew up. On the day Inky died, HighHolder Brewing came out with the new logo it plans to use. It's an image of a boy totting a couple growlers of beer, just like Inky had talked about his uncles doing. At that time, I didn't know Inky had passed. I downloaded the logo to my phone. I was going to show it to him the next time we met. That won't happen now. But I'm sure Inky would have loved it. For those of us who prefer out history wet... 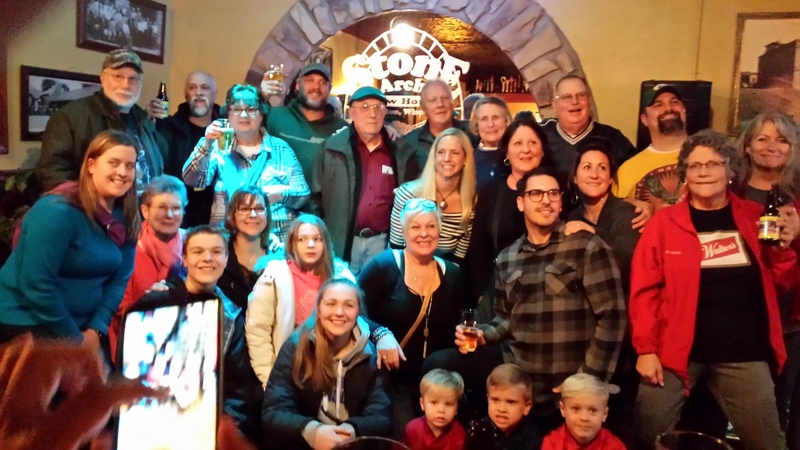 This Friday, January 26, Stone Arch Brewpub in Appleton is releasing a recreation of the 1946 version of Adler Brau Beer. 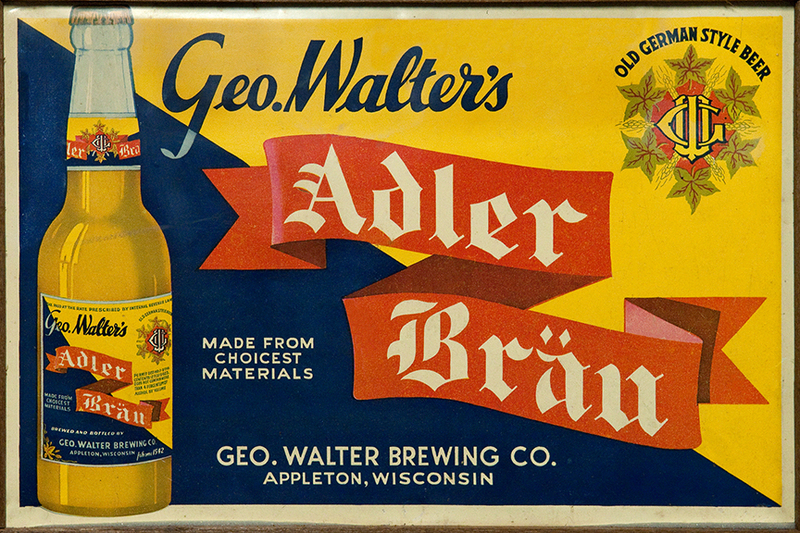 Adler Brau was the flagship beer of Appleton’s George Walter Brewing Company. 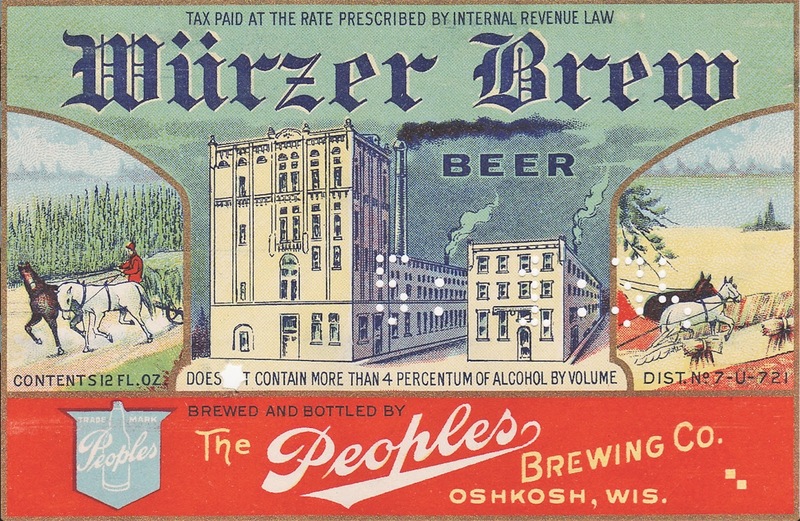 It was first brewed in the early 1900s. 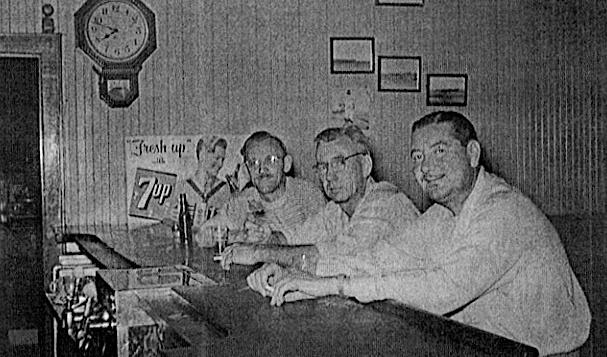 The beer was a mainstay in the Fox Valley until the brewery closed in 1972. Now it’s back. At least for a little while. This version is a one-off, 7-barrel batch brewed in commemoration of George Walter’s 170th birthday. The beer will be available Friday beginning at 4:30 pm at the pub and in a limited run of four-packs (scratch that, they've decided because of the limited run to sell single bottles, only). To whet your appetite, check out this history of the George Walter Brewing Company. The Author of the article, Brian Zenefski, is also the guy who discovered the 1946 recipe Stone Arch used. I’ve had a look at the recipe. It’s in-line with the sort of pale lagers being brewed before Prohibition. Should be an interesting beer. I don’t normally post updates to beer events, but this one came off so well I thought I should make mention of it. The highlight was that so many members of the Walter family came out for it. Here they are enjoying an evening and beer in honor of their forbear George Walter.